There are several different types of filters. The most commonly used ones are the thin, disposable fiberglass filters and the washable foam filters. These have a MERV rating from 1 to 4. A good rule of thumb is that if you can hold the filter up and see through it, it isn’t going to do a good job. 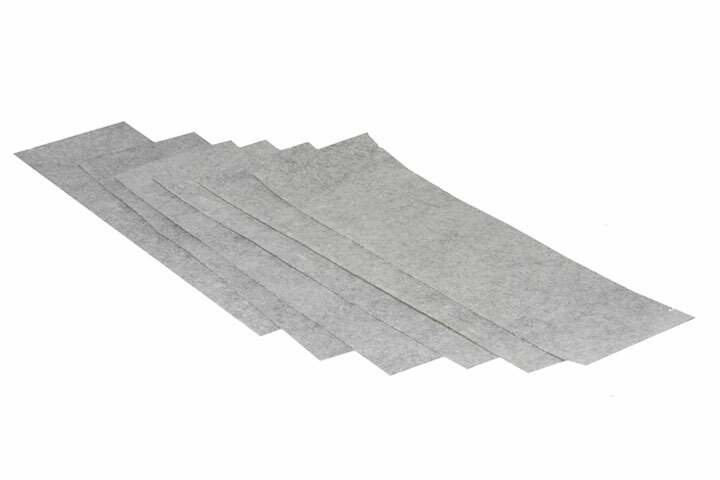 Pleated filters are designed to have more surface area, so they capture more particulates. They have a MERV of 5 to 8. Pleated filters are recommended by most HVAC professionals, because they are a good value in price and they keep your HVAC unit cleaner. HEPA filters are great for air purifiers and vacuum cleaners, but they restrict the air flow significantly in HVAC units. If you need better filtration of pollens and allergens, try allergen filters, which have MERV ratings from 10 to 12. Activated charcoal filters absorb most odors, chemicals and fumes as well as particulates. They remove toxic chemicals such as formaldehyde, ozone, and other VOC’s. So if you are having an serious odor problem, be sure to use active carbon filters because the other types won’t help much with this issue. For the best results, we recommend using SmellRid™ Reusable Activated Carbon Odor Removal Filters. This can be placed right next to your regular particulate filter as well as on your return and exit air vents. MERV stands for the Minimum Efficiency Reporting Value. MERV is a universal standard that compares filter efficiencies. The MERV usually refers to the E3, which is the measurement of how efficient a filter is at capturing large particles between 3 and 10 microns. Most allergens are going to be much smaller, so the higher the number the better to filter out pollens and other tiny particulates. Filters with a high MERV can reduce the airflow through your system. Those with serious allergies don’t mind the tradeoff. Allergen reducing filters have the highest MERV ratings. The MPR stands for Microparticle Performance Rating. It is the E1 part of the MERV rating, and measure how well the filter captures particles between 0.3 and 1 micron in size. Almost 99 percent of particulates, including smog, smoke and bacteria, fall within this size range. The higher the MPR, the better the filter is at capturing these pollutants. How Often Do You Need to Change a Filter? Each filter has a recommendation as to how often to change it. Cheap, disposable ones are best changed once a month. Clean permanent filters monthly as well. Change more often during the hottest and coldest parts of the year when the unit is running longer each day. If you have several pets, you will also need to change them more often. Knowing more about HVAC filters can save your money and keep you healthier. Since most newer houses are nearly airtight, you need to use the best filter you can afford. If you are unsure which one is best for your home and your unit, call an experienced Indoor Air Quality and Odor Specialist. Trina Thomas is a professional blogger that enjoys discussing home furnishing topics. She writes for Stashhome.com, a furniture store in Memphis TN. I just moved into a new house and it has a strange odor to it. I did not know that the carbon air filters had so much to do with the odor, but I will be replacing all of the filters in my house. It is fascinating how the carbon molecules can even trap gases in them. How often should i change my odour filter? When you no longer find that it is helping to eliminate the odor.